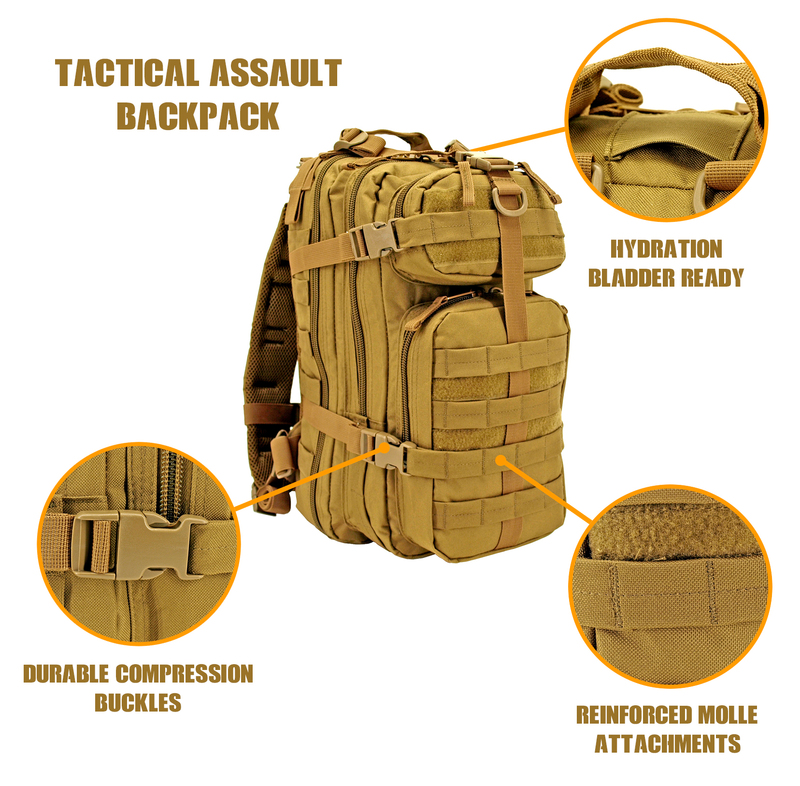 This Tactical Assault Backpack is constructed with high quality 600 Denier material, heavy oversized zippers and tabs. Hydration bladder ready, this tactical backpack is ready for hiking, camping, or your next great adventure. Includes two front pockets the larger of which includes an interior divided pocket for seperation and organization of additional gear. This Tactical Assault Backpack also features compression buckles on all sides, as well as waist and chest straps to ensure a perfect fit and feel no matter what your mission is! (L x W x H) 18.25" x 12.00" x 3.50"